Human history is full of fascinating stories and lingering mysteries: some of which remained unsolved well into the modern age. 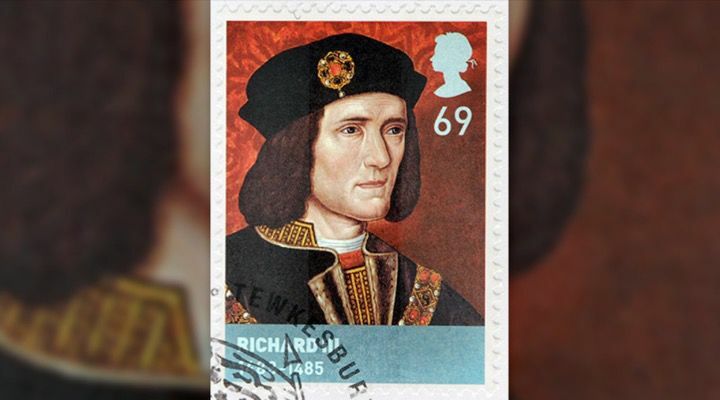 One of these was the mystery concerning what happened the remains of one of England’s most mercurial monarchs: King Richard III. 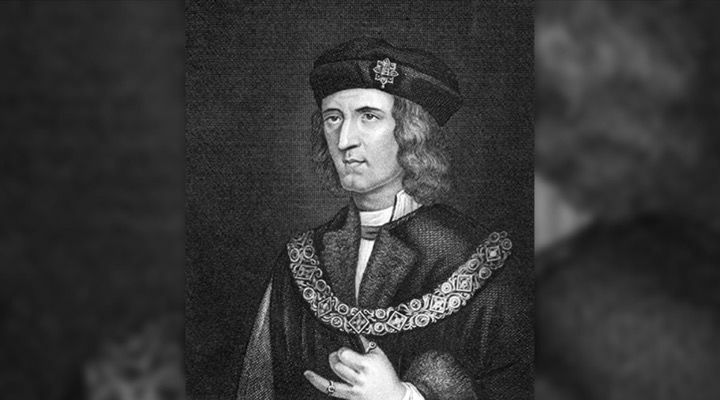 Richard III ruled as King of England from 1483 until his death in 1485. He reigned during the infamous War of the Roses, the same bloody contest of kings, connivance, and armies that originally inspired George R.R. Martin’s popular “Game of Thrones” book series. 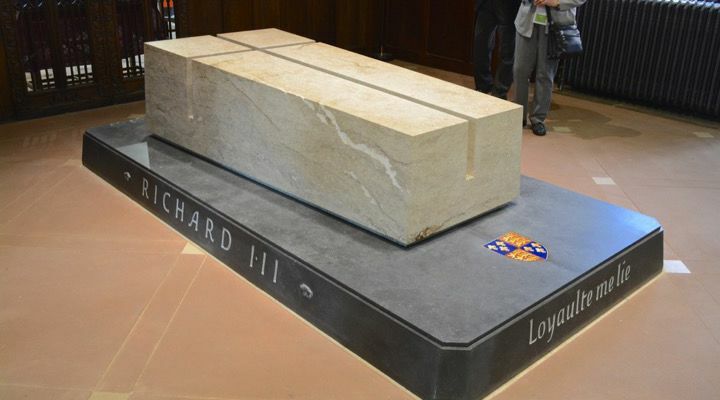 Richard was the last king of the House of York and the last of the legendary Plantagenet dynasty. 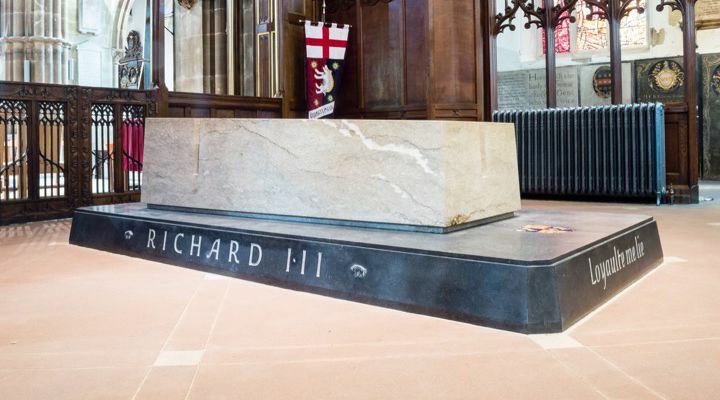 Following his death, Richard’s body was stripped naked and it was taken to the Church of the Grey Friars in Leicester to be put on public display. 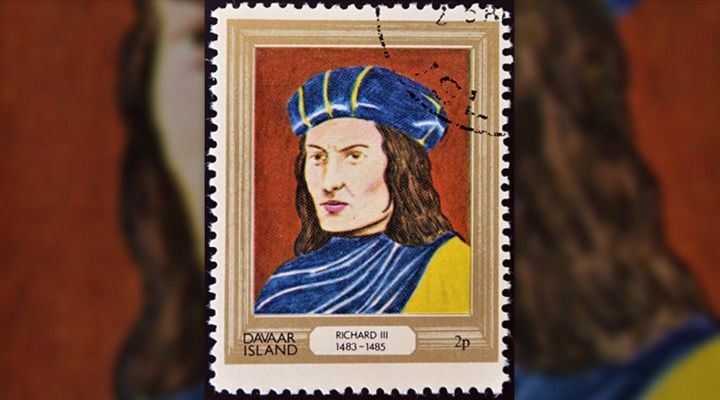 By all accounts, Richard III was the last English king to ever die in battle. 500 years ago, the friars buried the former king in a crude grave in the friary church, and there it remained, until the friary was dissolved in 1538. 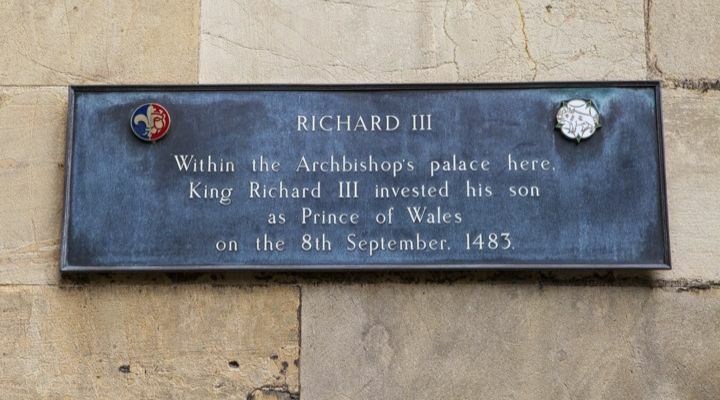 The Looking for Richard project, in association and with the support of the Richard III Society decided that they wanted to learn what really happened to King Richard III, so they began an archaeological excavation to see if they could simply dig up the truth. 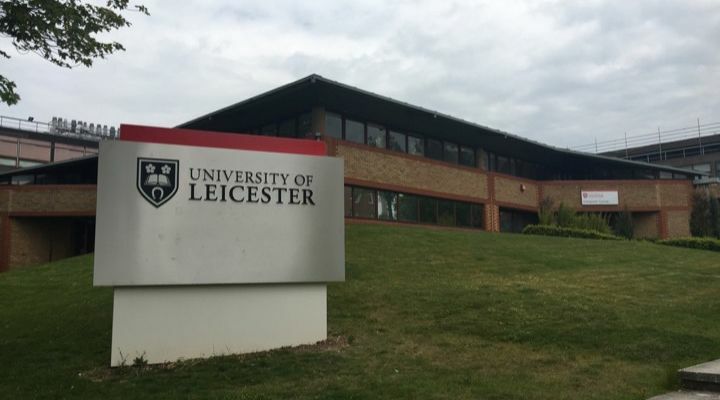 The search was led by the University of Leicester Archaeological Services who were helped by the Leicester City Council. 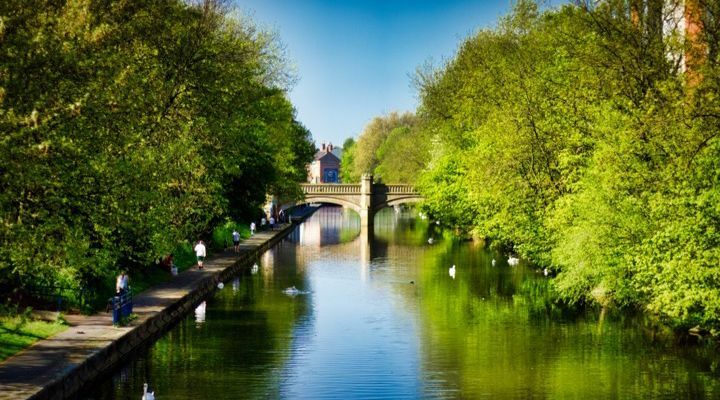 Further scientific examination showed a man who had probably been killed either by a blow from a large bladed weapon which cut off the back of his skull and exposed his brain. The blow looked to have been struck by either a halberd, a long bladed weapon, or by a sword thrust. Other initial wound findings indicated postmortem “humiliation injuries” of the type a conqueror might inflict upon his defeated enemy. Scientists continued to carefully study and catalog the remains. They performed whole body CT scans as well as micro-CT imaging of all the places where they had found injuries. These scans revealed that the king sustained a total of 11 wounds around the time of his death. Nine of those injuries seemed to have been directed towards the skull. 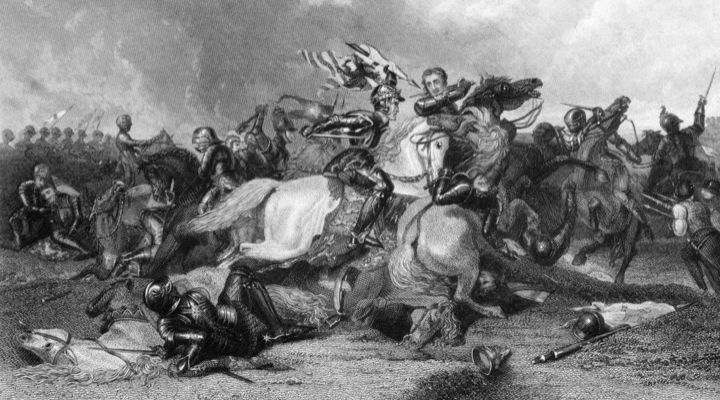 It seems that the king must have lost his helmet that day on Bosworth Field. 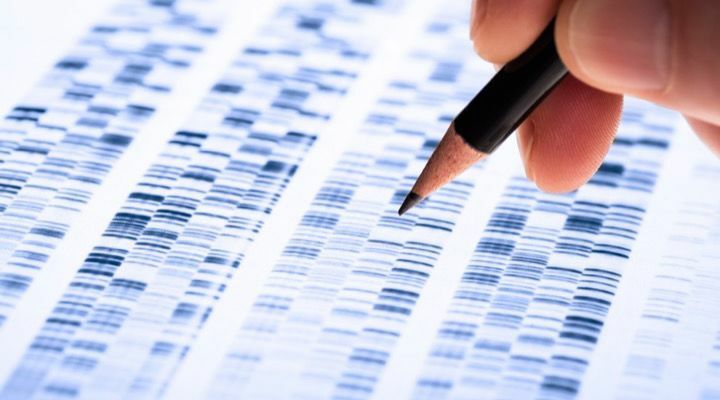 Researchers indicated that the most recent tests on his DNA disclose much about how the mysterious monarch may have appeared. There is a 96 percent probability that he had blue eyes and a 77 percent probability that his hair was blond hair, at least when he was young. Though it may have darkened as he aged. 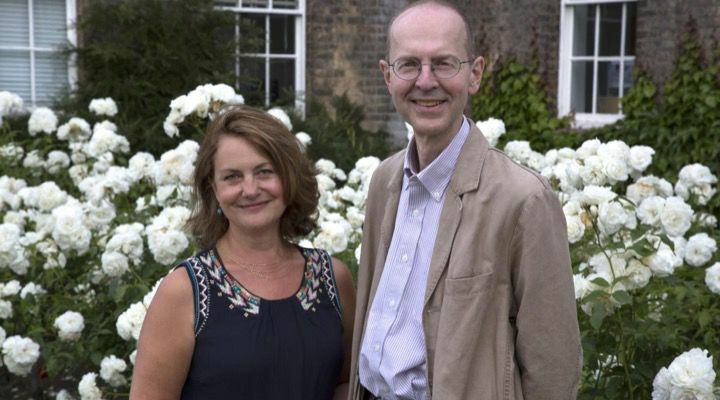 University of Leicester geneticist Turi King and his team ended up producing arguably the most complete DNA analyses of Richard III yet. 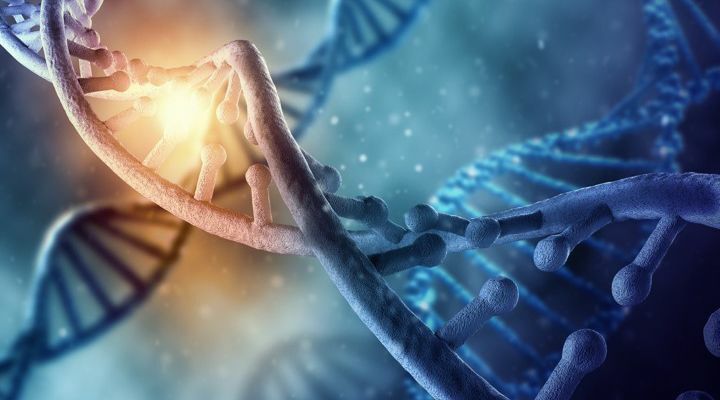 The recent study affirmed that there was a “perfect mitochondrial DNA match” between the genetic sequence gleaned from the skeletal DNA and two of Richard’s living relatives, both of whom had been previously discovered. 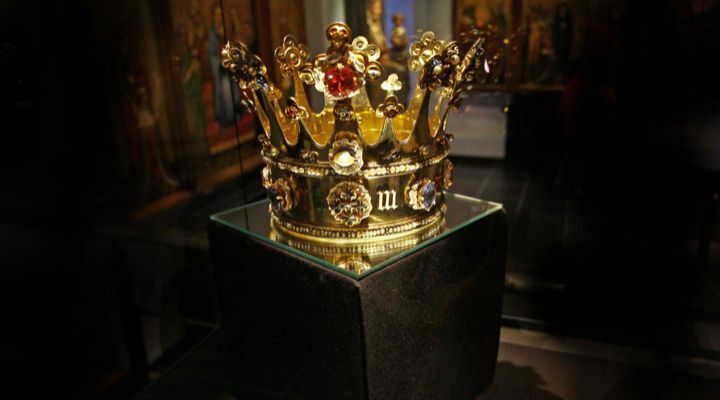 Prof. Kevin Schurer, who works at the University of Leicester Centre for English Local History, believes, as do many Englishmen and women, that these are indeed the bones of the king. Yet some in the community still believe that simply tracing the bones to relatives isn’t enough. 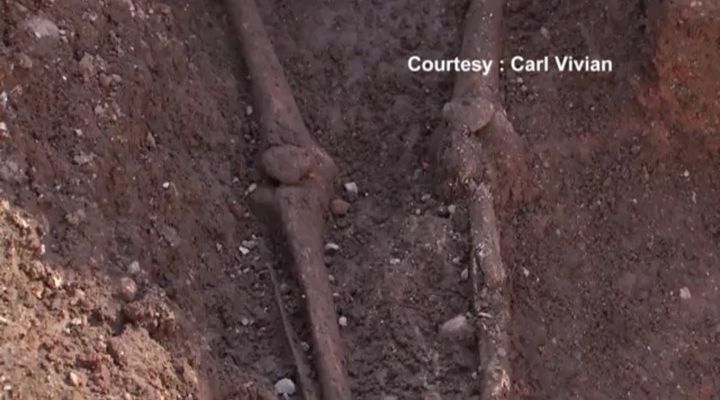 All the bones prove is that the bones are linked to modern relatives 17 generations away, not to Richard III himself. Turi King and Kevin Schurer acknowledge that there is one part of the puzzle that doesn’t quite fit. 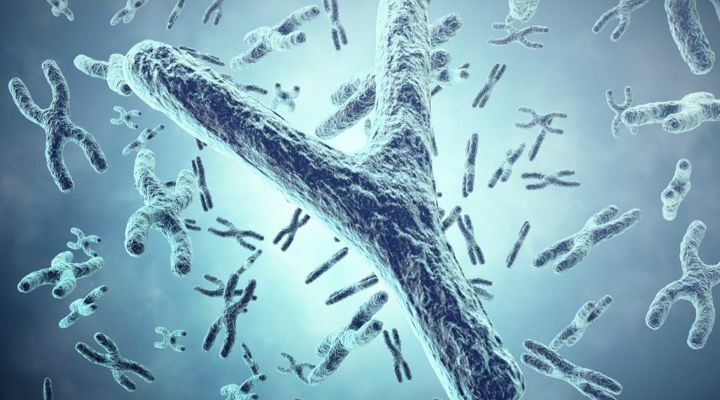 It seems that the Y-chromosome of the remains doesn’t match at all to those from Richard’s supposed relatives on the male-line. 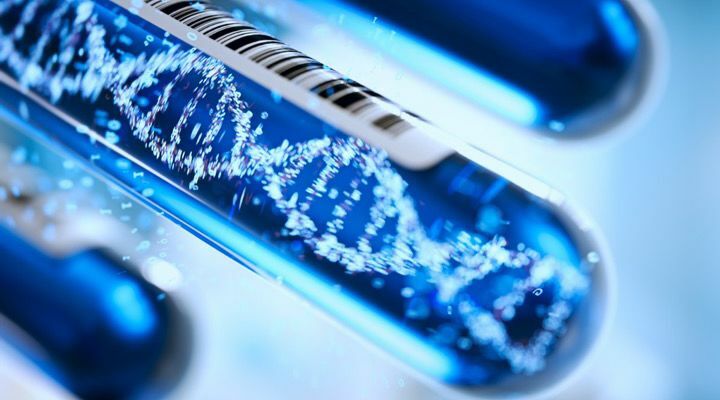 They attribute this to a “false-paternity event,” saying that it could have occurred in any of the intervening generations. 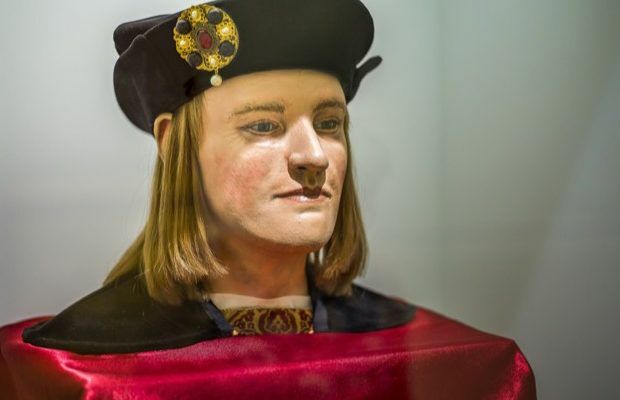 Other things that King and his team are trying to determine is whether or not there are genes within Richard III’s line that show a predisposition towards things like heart disease, diabetes, or as in Richard’s case, Scoliosis. 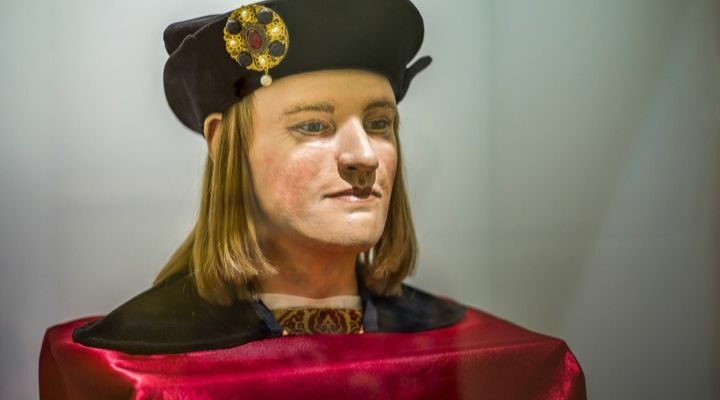 “A false paternity between Edward III and John would mean that John’s son, Henry IV and Henry’s direct descendant would have had no legitimate claim to the crown,” explained the researchers. “This would hold true, indirectly, for the entire Tudor dynasty.” It is something the will be gene sequencing for the next year to be sure.